You no longer need to own the full Ivory to run the Italian Grand. Synthogy´s Ivory Italian Grand was originally released as an expansion pack for the company´s highly acclaimed Ivory piano software, but it´s been announced that you can now buy it as a standalone instrument. Weighing in at 19GB, the Italian Grand emulates a premium 10-foot concert grand piano. It contains in excess of 2000 samples and boasts 12 velocity layers. The engine that powers the standalone version is based on the same one as you´ll find in the standard Ivory, so you get all of that software´s features and controls. There´s a full EQ/effects section and dozens of programs for you to play. 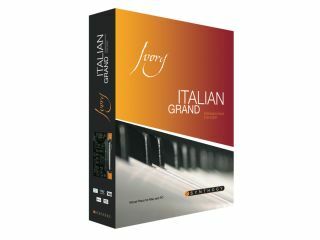 Ivory Italian Grand retails for $169/€129/£89 - which is pretty good for a sample-based piano of this size and quality - and runs as a VST, AudioUnits and RTAS plug-in. The full Ivory is still available too - this costs $349/$269/£179. More information on both products is available on the Synthogy website.